The workshop will be led by our Musical Director Mark Sproson. We are inviting local singers who are interested to join us. The workshop will cost £10 for members and £12 to non members, and will include the music score for the day and a ‘bring and share’ lunch provided by our members. 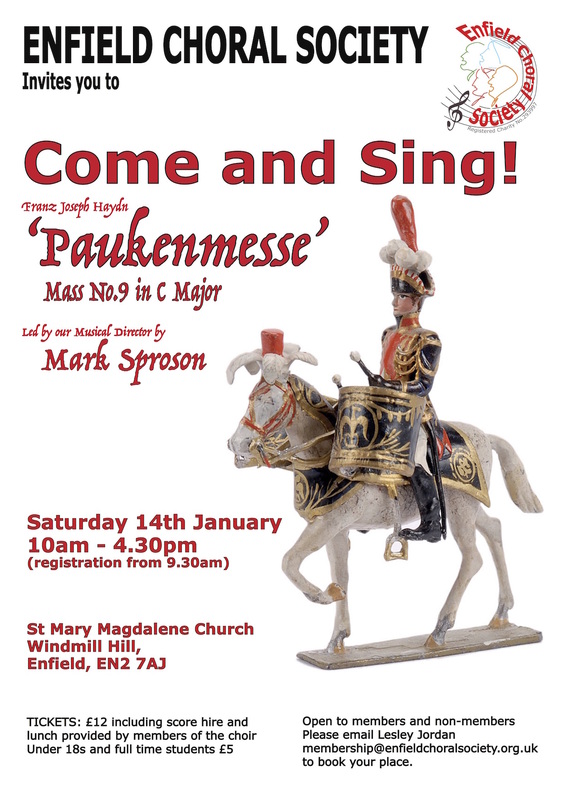 To book your place in advance, please email Lesley Jordan at membership@enfieldchoralsociety.org.uk, stating your voice part. You can pay by cash, cheque or online. Further details will be provided on request.